Will Your Travel be Affected by Airport Delays at Newcastle? In 2015, Newcastle flight delays totalled over 54.5hrs on average, experienced by travellers flying out of the airport. Newcastle International Airport is the pre-eminent travel hub for most of Northern England. Since 1978, an average of four million passengers are served by the airport each year. Both short and long haul flights fly travellers to over 74 destinations around the world. The airport has a positive impact at home, too. The surrounding communities of Cumbria, South Scotland and North Yorkshire are just some of the communities which benefit from the presence of the airport. Newcastle International employs 3,200 people within the airport and an additional 4,600 in support roles. About £646 million is injected into the regional economy each year. The second category is considered “low cost” or “budget” airlines. They offer no frills flights at very low prices. These types of flights are often popular with holiday travel. Picture this: Airplanes taking off and landing on a grass runway. The only light? Fire from nearby oil drums. This was what the airport looked like on 26 July 1935. Back then, the airport was known as Woolsington Aerodrome. During World War II, the main airport was located in Cramlington, Northumberland. Following the War, however, the U.K. government took a new look at Woolsington. The location made sense to develop out as a commercial airport. Ex-RAF pilot Jim Denyer was appointed Airport Manager for Woolsington Airport. Throughout the 1950’s Denyer developed the airport as a commercial transportation hub. Within just a few years, over 5,000 people were using the airport regularly. Popular destinations included Jersey and the Isle of Wight. During the 1960s, the British travel business took off in a big way. Instead of taking a holiday within the U.K., Britons became far more interested in travelling to Spain and other foreign locations with warm beaches. The increased activity at the airport led to expansion and renovation, but with new growth can, at times, come growing pains, in the form of airport delays. A new runway and air traffic control tower were built. Then-Prime Minister Harold Wilson was actively involved in the refurbishment of Newcastle Airport during this time. In 1972 the status of the airport was officially changed to Category B. This meant they were now considered a regional international airport. This re-classification also led to a name change and Newcastle Airport was born. Throughout the 1980s and 90s the airport underwent a series of technological improvements. Check-in systems were updated. An Airport Metro station connected the airport to the Newcastle City Centre. In 2000, under Prime Minister Tony Blair, a £27 million extension at the airport was opened to the public. This also marked the first arrival of low cost airlines. Today, these low cost travel airlines make up a large portion of overall airport activity. Over 5.4 million people use the airport each year. Additionally, the south side of the airport has seen an increase in mail, freight, corporate and other non-public flights. Newcastle is a busy airport. 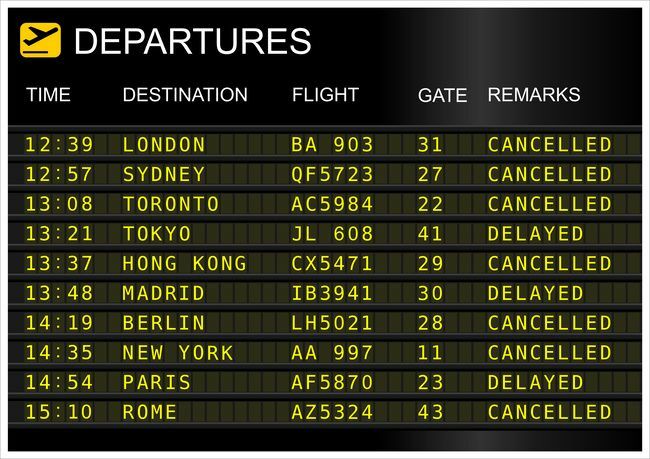 Not every flight arrives and departs on time. Delayed flights at Newcastle Airport can be a serious disruption for travellers. Passengers are legally entitled to certain financial rewards, even if the delay occurred up to six years in the past. Click the link below for more information on your rights as an airline traveller.